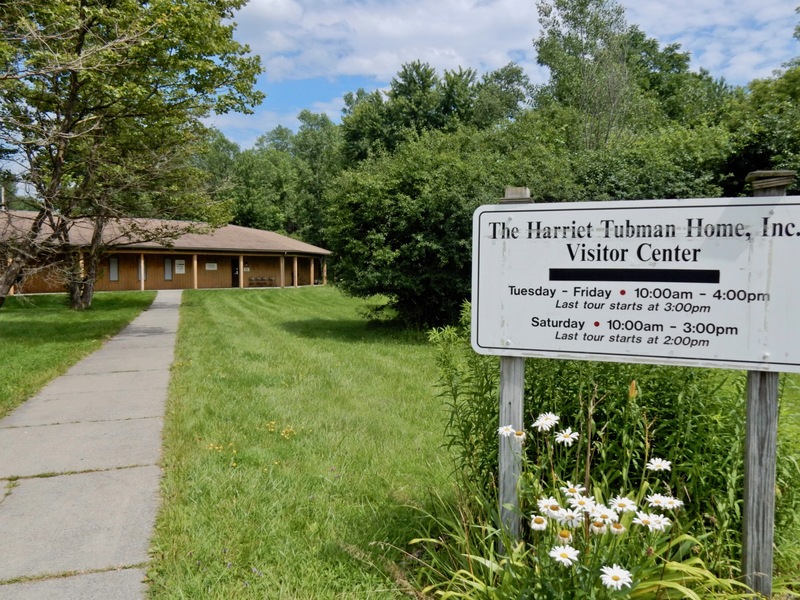 TOUR: Harriet Tubman Home National Historic Park. 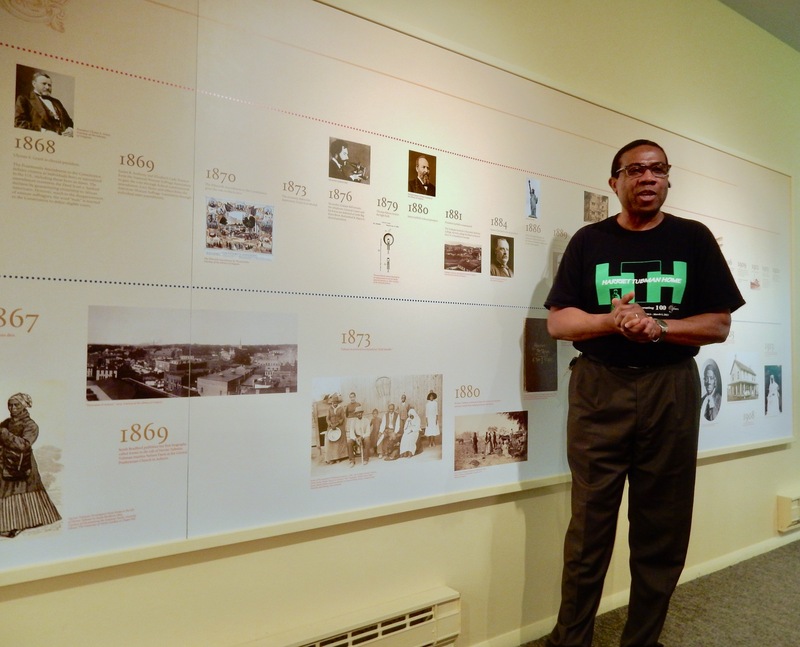 A visit to Tubman’s home begins with an excellent timeline orientation by Reverend Paul Gordon Carter, whose dramatic speechifying brings Harriet Tubman to life. “No one is born a slave,” he begins. “Everyone is born free. But they can be enslaved.” Thus, the Rev schools us in appropriate terminology: “it’s ‘enslaver’, not ‘Master,’ and ‘Freedom Seeker,’ not escaped slave,” we learn. Born Araminta “Minty” Ross in 1822 to Ben Ross and Harriet Green in Poplar’s Neck MD, Harriet married free man John Tubman and took her mother’s first name and his last. She remembered her mother sobbing about three sisters snatched and sold to southern plantations, and vowed to not let that happen to her. This prompted Tubman to rescue family members and bring them to Ontario, Canada, 450 miles away. She returned two years later to rescue her husband only to find he’d married someone else. In Upstate NY, Tubman met Abolitionist Lucretia Mott, a friend of William Seward (famous for the purchase of Alaska aka “Seward’s Folly”) in Philadelphia. Seward sold Tubman 7 acres of land in Fleming/now Auburn NY at a time when even white women didn’t own property. During the Civil War, Tubman acted as a scout and spy for the Union Army – the first woman of any color to lead a troop into war. By 1869, there was so much public interest in her heroics, her biography, Scenes in the Life of Harriet Tubman, came out. That same year, Tubman married Nelson Davis, a man 20 years her junior. In 1870 Tubman bought 25 acres for $1450 to establish a Home for the Destitute Elderly, and in 1880 her mother “Rit” died. Tubman died in 1913 at age 91 right here, and was buried, with full military honors, in a modest Auburn grave. 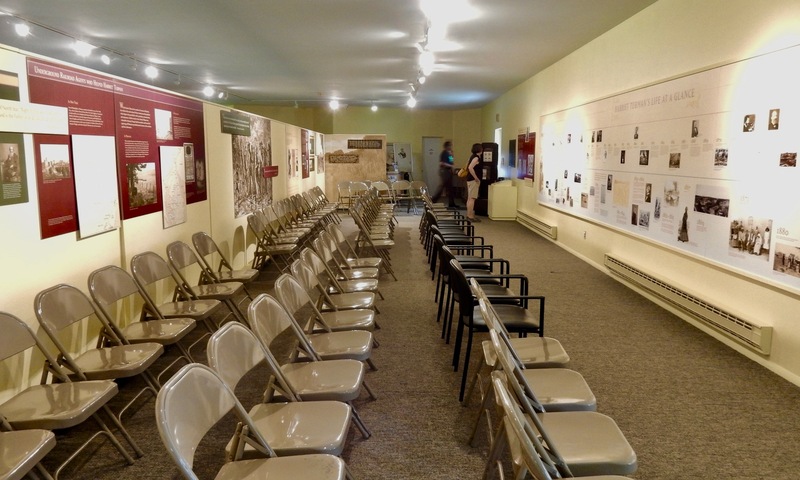 The tour takes you through the house, on the Historic Register, that Harriet Tubman established as a Home for the Aged. 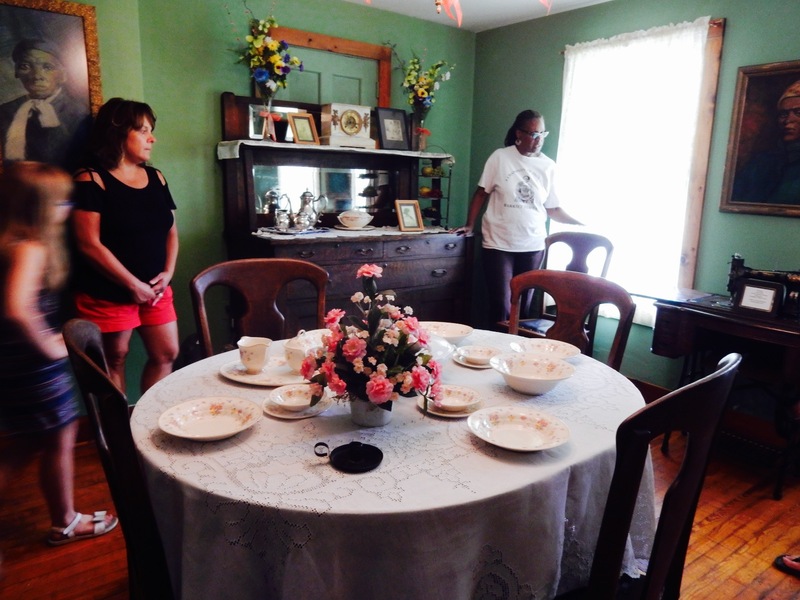 The Home continued to serve 9-12 destitute elderly well into the 1940’s. It’s been restored, and soon Tubman’s brick home will be as well. Open Tues-Fri 10-4 (last tour at 3), Sat 10-3 (last tour at 2pm), Donations Please. 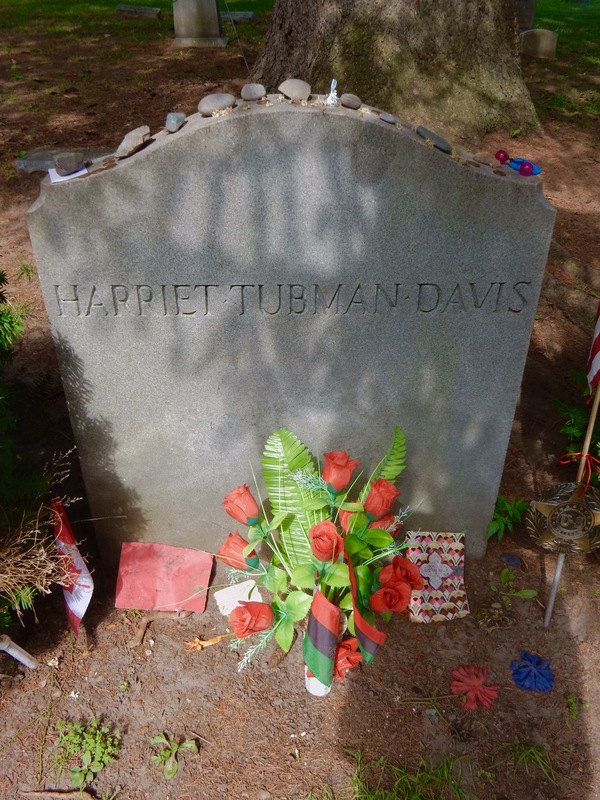 VISIT: Harriet Tubman Davis Grave, Fort Hill Cemetery, Auburn NY. 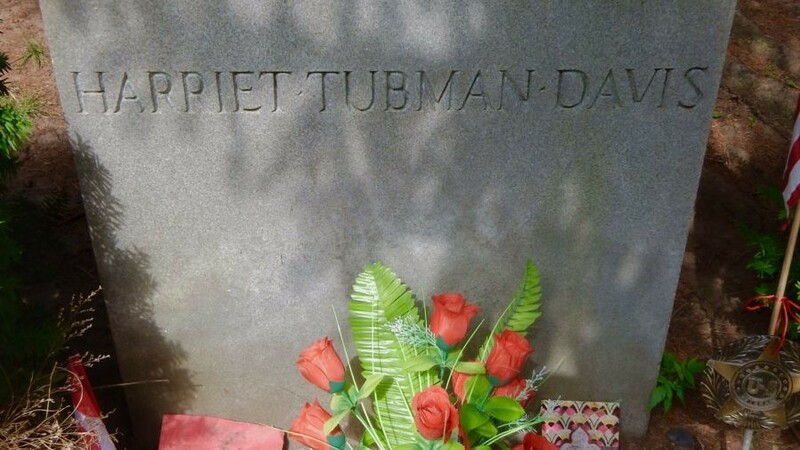 Tubman is buried as she lived, humbly; with no fanfare. Her grave is marked by a simple headstone and can be found just in front of a tall evergreen tree in this park-like cemetery. VISIT: William Seward House Museum, Auburn. Though best known with “Folly” attached to his name – referencing the purchase of Alaska during the (Andrew) Johnson administration when he served as Secretary of State – William Seward was also a NY State Senator, Governor of NY, a US Senator, and Secretary of State under Lincoln. A progressive for the time, he wished to gift land he owned here to Harriet Tubman, but she refused charity and insisted on paying for it. Guided tours only. Open Tues-Sat 10-5, Sun 12-5, $12. 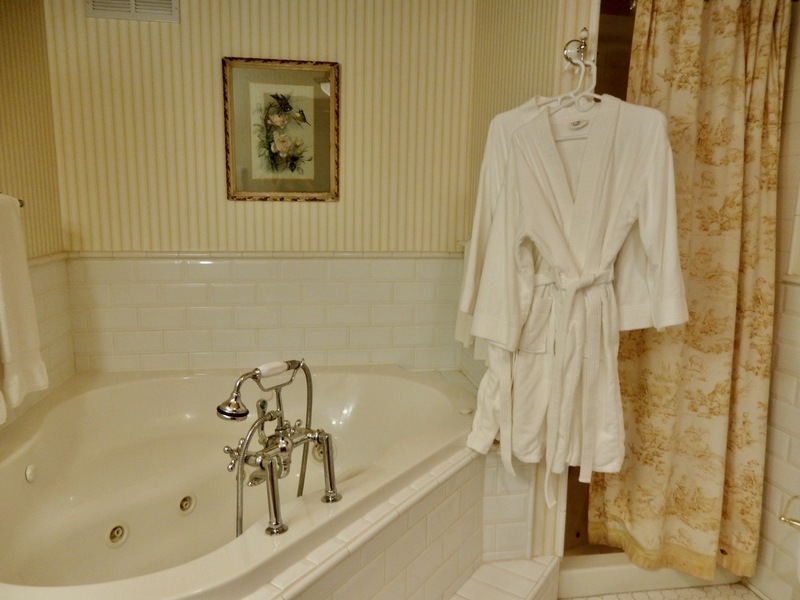 STAY: Springside Inn, Auburn. This historic 7-room inn, built in 1851 as a boy’s boarding school by the then adjacent Dutch Reform Church, is set back from the main road across the street from Owasco Lake, and looks much larger than it is. 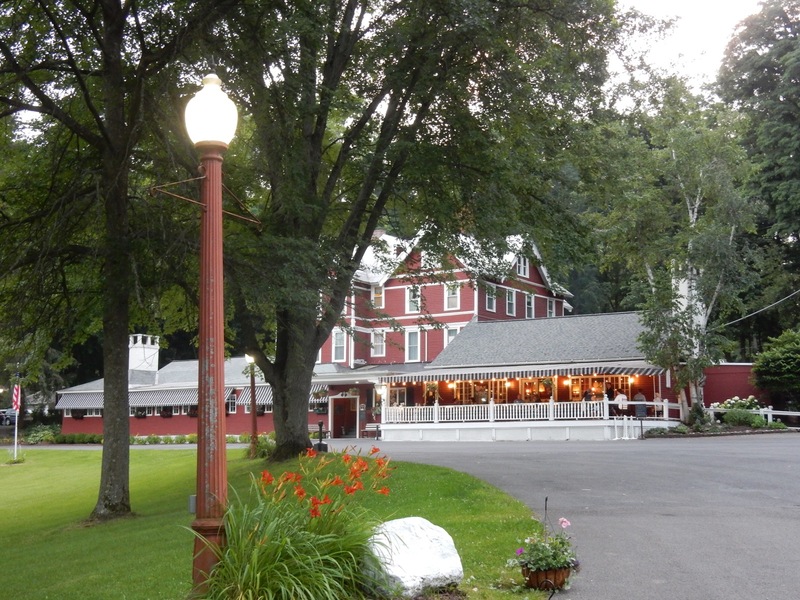 That’s because the Springside Inn is used more and more as an event space for family reunions, meetings and weddings. But that should not stop the leisure traveler looking for a luxury stay from booking a room here. 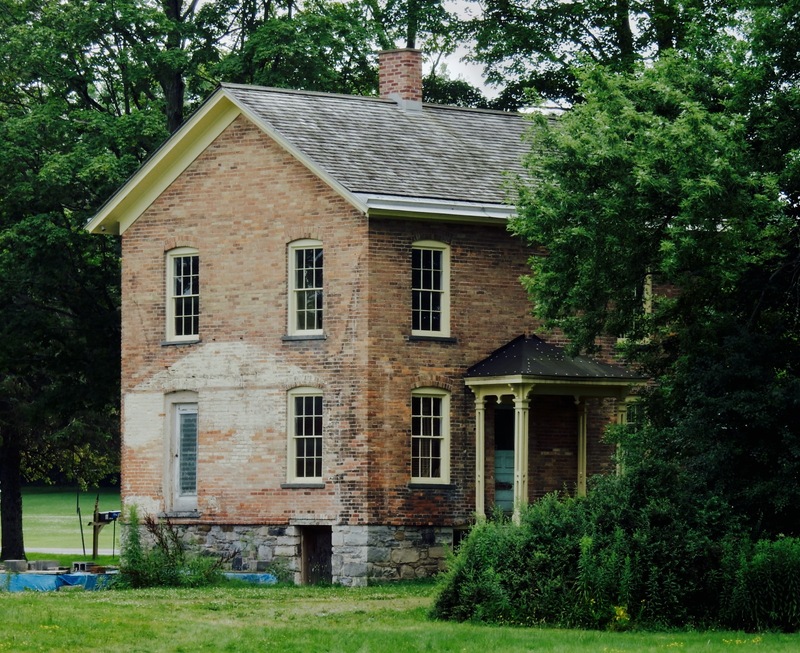 The Springside boarding school for Boys, mentioned in the first book about Harriet Tubman, written in 1869 – Scenes in the Life of Harriet Tubman – was quite possibly on the Underground Railroad. Freedom Seekers would leave railcars about ¼ mile away and make their way, sometimes with Tubman’s help (she lived just two miles away), to the thicket behind the inn to hide. 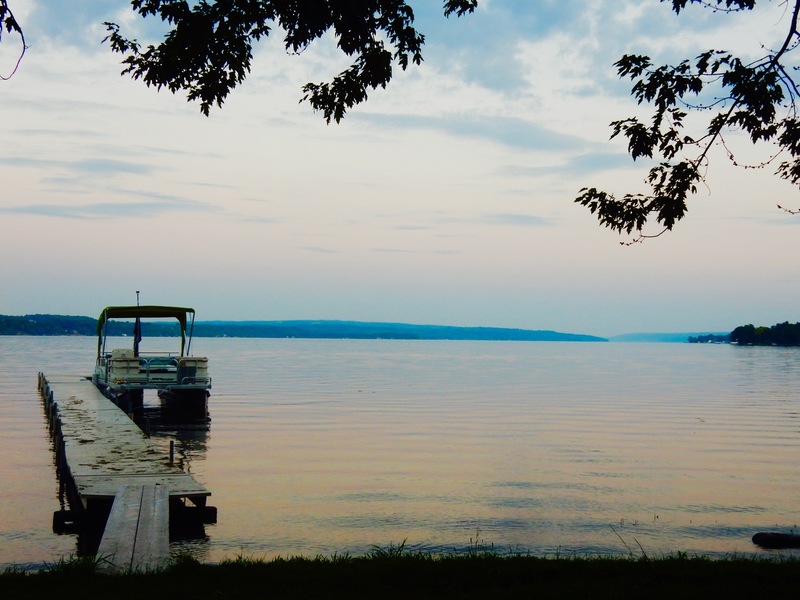 This possibility just thrills Sean Lattimore, a local who, with his wife, Beth, bought this property from in-laws 18 years ago and has owned it ever since. The Lattimore’s continue to make improvements, and though the rooms have been renovated over 5 years ago, they appear to be freshly updated. Each of seven immaculate rooms is thoughtfully and individually decorated. Mine, Room 23, was large and richly dressed in Federal finery. 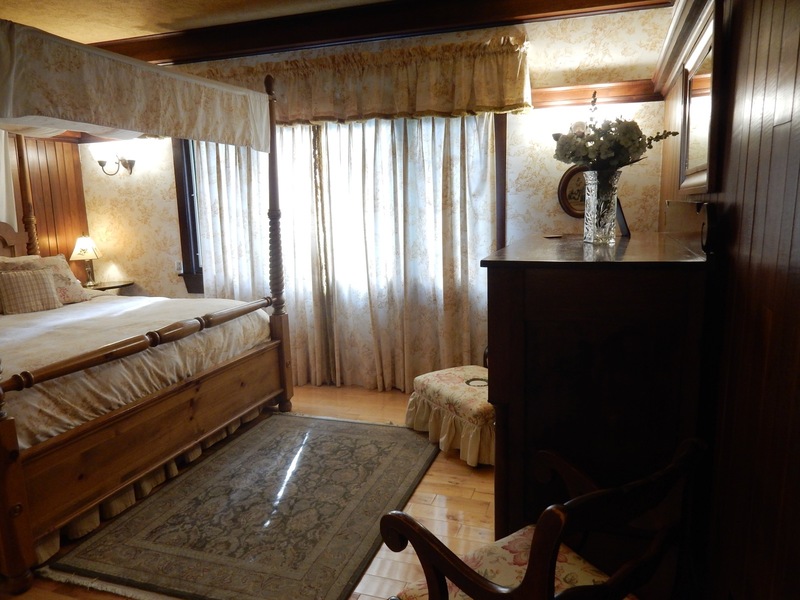 It has a separate sitting room featuring a brick fireplace, a carved four-poster canopy bed, burnished wood floors and paneling, and flat screen TV. The Jacuzzi bathroom is light and bright with subway tile wainscoting and subtle striped wallpaper. 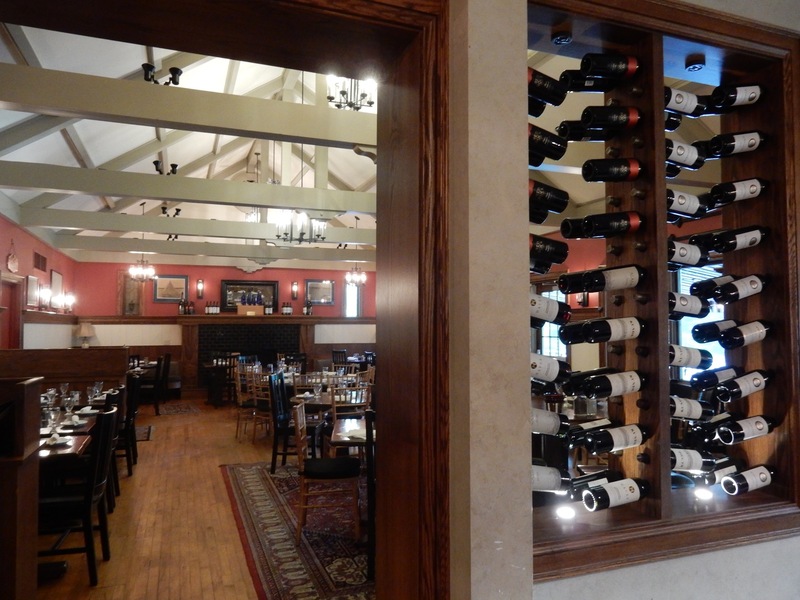 The house restaurant, Oak & Vine replaced a more formal dining room about five years ago. Bistro-style, the atmosphere is convivial and the food very good. Truffle Stuffed Chicken ($22), Filet and Short Ribs ($34), and even the gluten-free vegetarian “Un” Spaghetti and Meatballs ($20 are crowd pleasers. 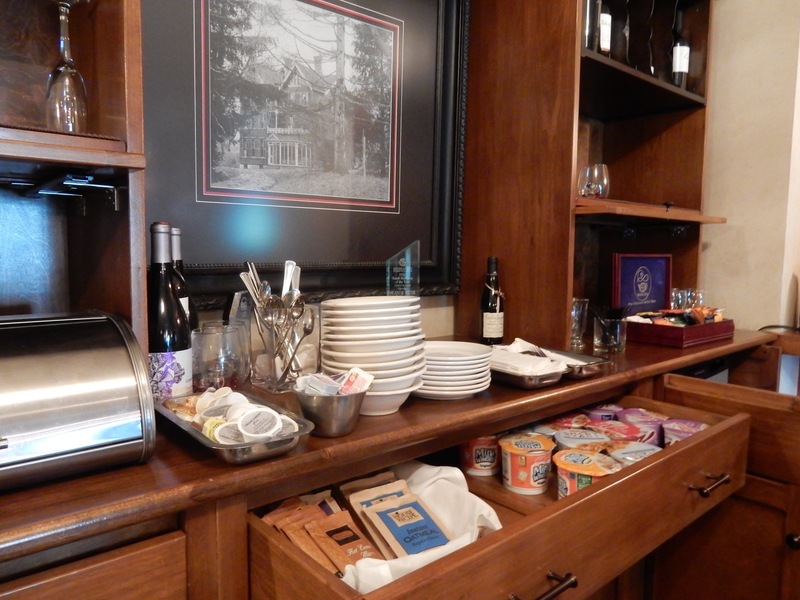 A hot Continental Breakfast, arranged buffet style in Oak & Vine, is complimentary with the room. Spend an enjoyable few minutes perusing the black and white photos on the walls, and you’ll get a good idea of what the place looked like when first purchased and the notables who have dined and stayed here, including US Presidents, CEO’s of Fortune 500 companies, celebrities, and while New York Senator, Hillary Clinton. 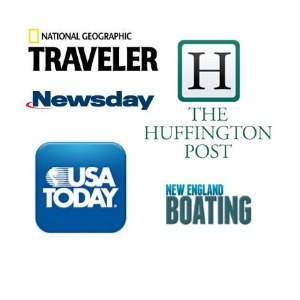 Rooms and suites from $129 – $295 include free wi-fi, parking and Hot Continental Breakfast.